If you are having difficulty moving normally due to an injury or an illness, your physical therapist may fit you with an orthotic to help align your feet and body properly. So what exactly is an orthotic? An orthotic is an orthopedic appliance or apparatus used to support, align, prevent, or correct deformities or to improve the function of movable parts of the body. Simply put, an orthotic is any device that is applied to your body that is meant to help you move and function better. 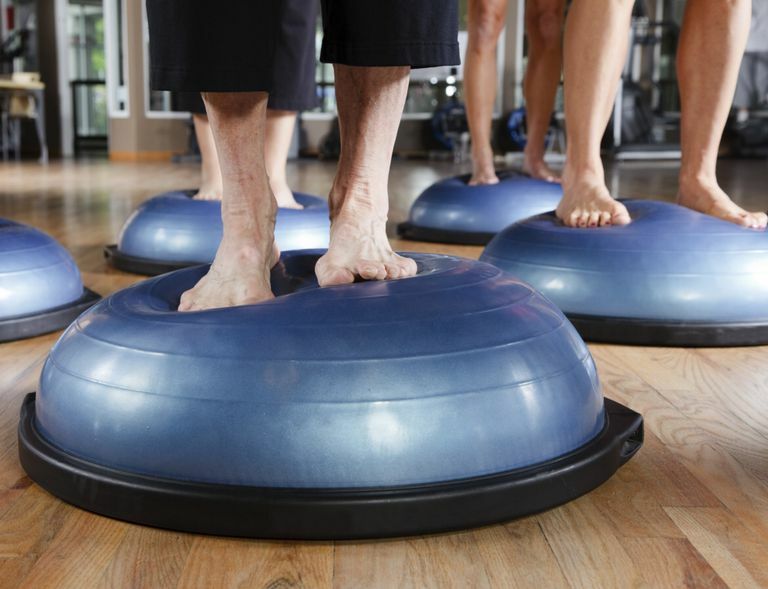 There are several different types of orthotics that your physical therapist may use. AFO - Ankle Foot Orthosis; orthotic device for the lower limb that encloses the ankle and foot and does not extend above the knee. This is commonly used in foot drop where weakness of the anterior tibialis prevents you from lifting your foot and toes up off the floor. Cervical brace - a rigid plastic orthosis that encircles the neck and supports the chin and the back of the head. Dynamic splint - a dynamic splint is a device that surrounds a joint to support it but moves to align your joint while stretching a specific part of it. For example, if you are experiencing elbow tightness after an arm fracture, your PT may prescribe a dynamic splint to help strethc your arm out while supporting it. The splint provides a low-load, long-duration stretch to your body part. KAFO - Knee Ankle Foot Orthosis; orthotic device for the lower limb that extends from above the knee to the ankle and foot. LSO - Lumbosacral Orthosis; spinal orthosis that encircles the body in the lumbosacral region. This is often used after spinal surgery or to treat low back pain from spinal stenosis. Orthotics may be recommended by your physical therapist to help align your body or to help support a joint or joints. This can improve your overall functional mobility by helping to support your body after injury or illness that results in loss of muscular control or joint mobility. If your foot turns in too much, it may place stress on your lower extremities, leading to pain and difficulty walking or moving around properly. Sometimes, weakness in your hip muscles go hand in hand with foot pronation. Correcting that pronation may be what is needed. Orthotics in your shoes help to gently lift up your foot's arch, placing your foot and lower leg in an optimal position. When your foot is over-pronated, your lower leg internally rotates inwards, leading to stress and strain on your knees. Correction with orthotics can help with a host of problems in your lower extremities. Some people with flat or pronated feet use shoe inserts and orthotics as a preventative measure before any injury. Your PT can assess your foot position and determine if orthotics for your shoes is the right choice for you. A knee brace may also be considered an orthotic. After surgery, like an ACL reconstruction, your doctor may want to stabilize your knee joint while it is healing. You may be required to wear a knee brace as an orthotic to help keep everything in the right place while things are healing. Your physical therapist can show you how to properly wear your knee brace after surgery and ensure that it is not too tight or too loose. (One of the most common reasons for discontinuing brace use for your knee is poor fit.) While a brace can help decrease your pain, be sure you understand exactly how to use it properly. If you are having pain or any sort of functional mobility limitation, your physical therapist may use an orthotic to help correct your condition. Check in with your doctor, and then visit your physical therapist to see if you would benefit from using an orthotic to correct your condition.